I’ve been travelling around the Philippines of late and in North Luzon in particular, a beautiful part of the country with some superb wildlife, scenery and climate. 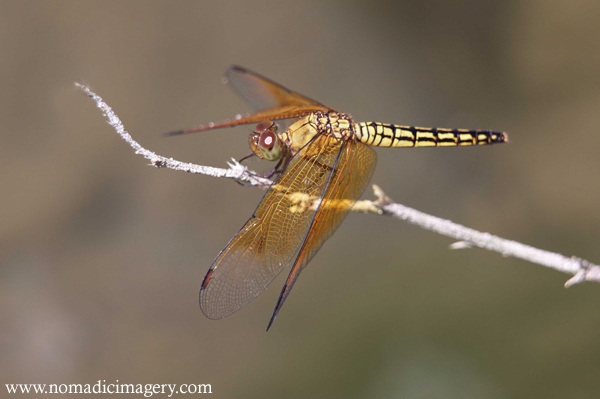 It did’nt take long before my wanderings took me up hill and down dale as they say to mountainous regions infested with many beautiful species of the odonata order of insects such as this beauty, Neurothemis terminata. This happened to be a remarkable chance meeting one day as I was trekking up a river into a mountain range. It took a great deal of patience to capture a shot of this magnificent creature as it was so skittish. They are known to be like this and so it was of little surprise he would literally run rings around me. Eventually though I did manage to get close enough, not through perseverance but rather with the help of the female that was in close proximity to him at this stage. It was a shame that I missed the actual mating but after the female oviposited her eggs it was time for her to rest in the same spot has the male had done early. 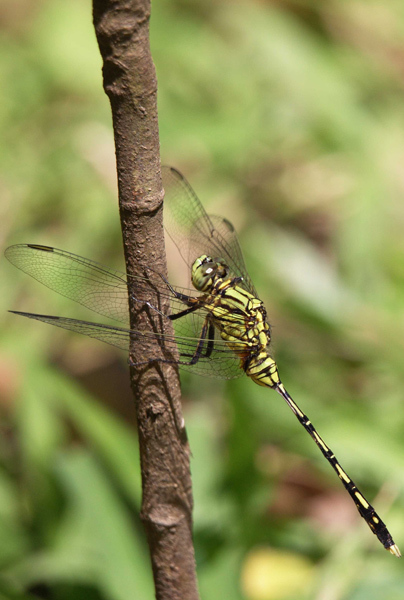 I must admit these tropical species of dragonfly are all new to me so I am having some trouble identifying them, if any body out there notices a mistake with my i.d. feel free to leave a comment and for those that are unidentified likewise. 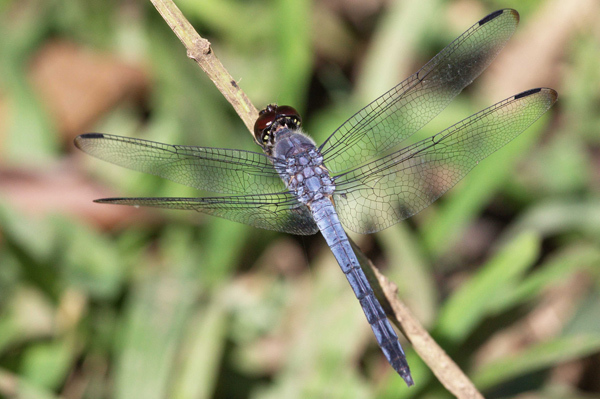 Diplacodes trivialis as seen above is commonly known as the Ground Skimmer, Chalky Percher or Blue Percher due to its habit of perching on the ground and rarely flying above 1m. 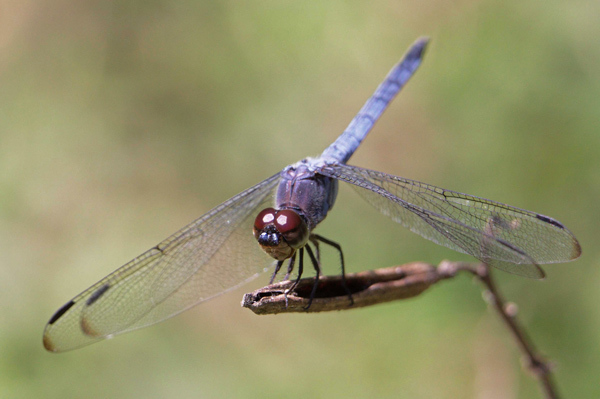 The male has a blue to blue-grey body with black on the tail, eyes are blue; female is greenish with black markings on the tail, eyes are green with red. They are known to breed in muddy puddles, tanks and pond edges. 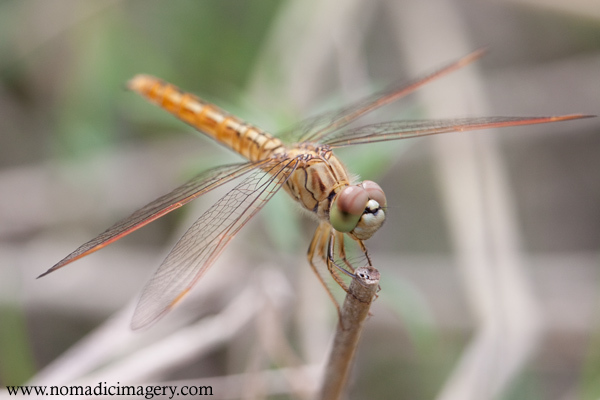 Tetrathemis platyptera (or at least that’s the closest I can get to identification!) spotted in the heart of the jungle as we ventured forth toward some waterfalls, was hawking along the river. 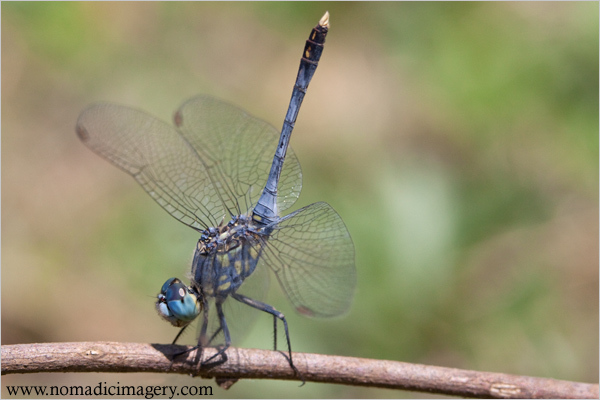 These dragonflies barely seem to rest, they are almost always on the wing or at least as far as I can make out. Flying backwards and forwards in a hypnotic fashion over an area of a few square metres which they seem to have picked to be their hunting ground. This shot of the female was a lucky grab as she rested on the banks of a lake. I could be wildly mistaken about the i.d. 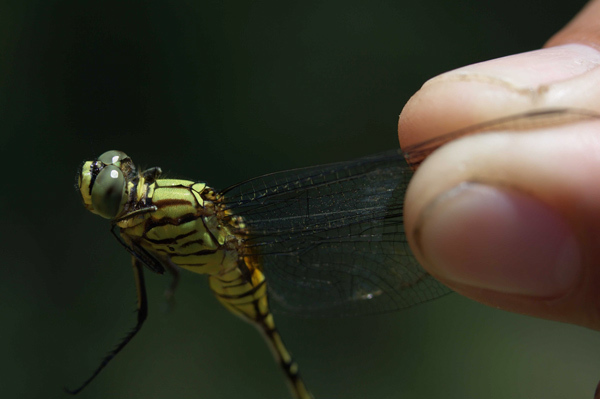 of this dragonfly but what the hell, I’m gonna stick my neck on the chopping block and hope (if it’s wrong) someone can come back at me with the correct species. A very patient dragonfly is this one, quite tame and likes to pose for the pictures, not at all skittish or afraid of us humans. The following species I have no idea as of yet what it could be but what I do know is compared to some of the beautiful and cute faces of others I have reviewed today this one does look a bit nasty, maybe it was sick of me doing my routine dragon chasing maneuvers around his little pond! 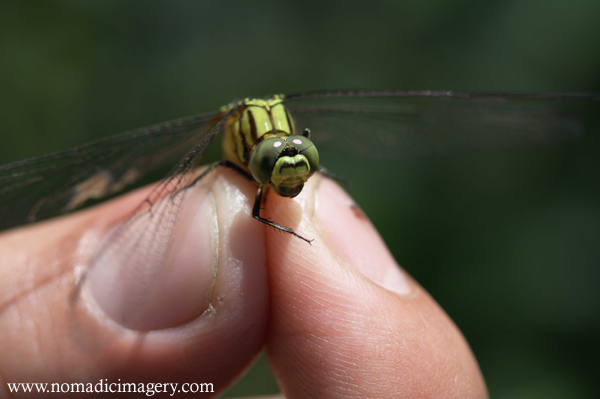 Sources of invaluable information about a multitude of different Odonata species. 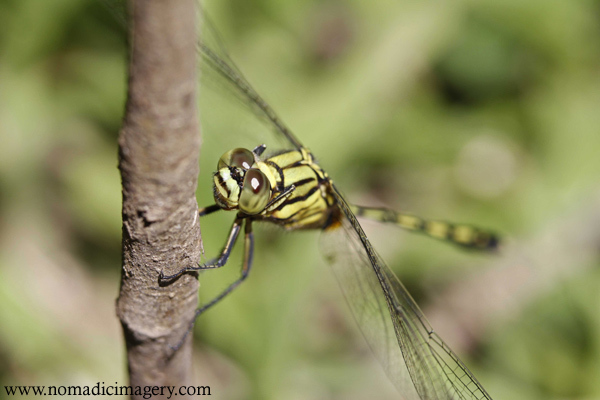 If you like this post on Philippines Dragonflies or have anything to add please leave a comment, G+1 or Share and MANY THANKS for visiting. If you are interested in using any images for the web or any other means please be sure to contact me or visit the Homepage where you can find a wide variety of Images and Collections for Personal or Commercial use. Thought I'd already commented on these, obviously not. Great shots, love em. Where in the world are ya mate? Don't bother unless you're on a decent connection. Very nice, welcome back to the blogosphere. Some amazing shots here…. the detail is stunning. Glad you're enjoying life up in the Philippines. 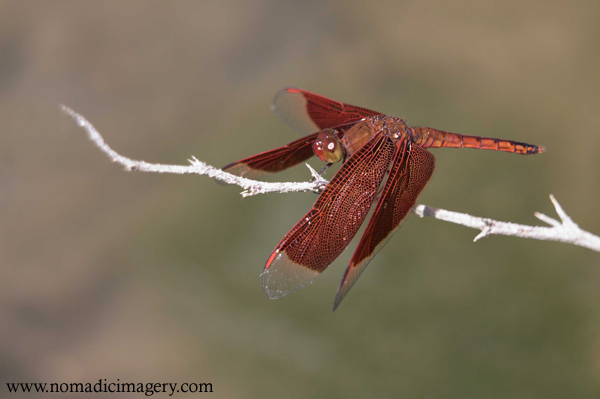 Don't tell me I impress you with my Thrithemis annulata!! what a laugh, after what I admired on this post! LOL! 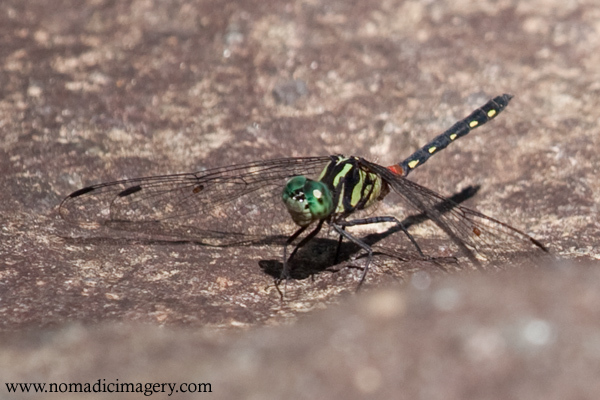 Unfortunately I can't help with you with Asian dragonflies, but you are sooooo lucky to see those!